Email us for information on pick-up at this convenient location! Our truck is once again heading west. Contact us to reserve a spot on this load that tends to fill up fast! VKV will once again have a booth at this great sale. We are now taking PRE-ORDERS. 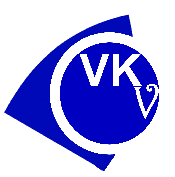 - email us to reserve your VKV Feeder today. In late June or July, we have a potential route opening up from MN to Colorado. Check back for a map of the route and potential dates. Email us if you’d like information on this opportunity. Mark your calendar for the 2019 Pride of MN Boer Goat Sale. VKV will see you there! While at this time we do not offer shipping on our over-sized equipment - from time to time, we will have representatives traveling to various locals and transport can be arranged. Below are some upcoming transport opportunities.